EVENTBRANCHE JAAROVERZICHT 2015 – Nog vers in het geheugen en veel stof tot discussie was het laatste EventBranche magazine van 2015. Met naast de vertrouwde 10 ontwikkelingen die volgend jaar het event als marketing- of communicatiemiddel zullen gaan sturen, ook veel hapklare trends en ontwikkelingen per tak van sport. Aan de hand van onderzoeken, interviews en input van experts kwam EventBranche.nl tot een prachtige discussie: 2016 wordt het jaar van het evenement. Marketing, communicatie, reclame, sponsoring, activaties, branding, etc etc allemaal gaan ze in 2016 de kracht van events en live op waarde inschatten. Hieronder nog de 10 ontwikkelingen die daar voor gaan zorgen. En dan hebben we het nog niet eens over de rol die events kunnen spelen in het vertalen en live implementeren van Big Data, het naadloos aansluiten op contentmarketing, dé mogelijkheid om oprechte storytelling te bedrijven, de unieke kans om C2B strategieën te vertalen in de praktijk….ach…u weet het wel…. 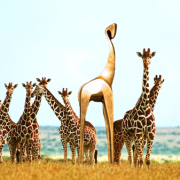 Trendwatchers zien kansen in eventbranche: is het event shareable? 18-11-2015 …op de deurmat ploft kijkt onder meer vooruit naar 2016, het jaar van het event. Per tak van sport trends en ontwikkelingen. Als voorproefje de trends op het gebied van evenementendecoratie. Steeds meer marketeers en communicatieprofessionals zien in het live moment het belangrijkste touchpoint van hun campagne en gebruiken die impact, dat beeld of de interactie van het evenement voor de content van de rest van de multimediale campagne. Contentmarketing? C2B revolutie? Neuromarketing? Customer Journey? In iedere marketing trend of ontwikkeling past het event. Het eist de hoofdrol op. In alles: zet de gast centraal. Stel zelf kaders voor het evenement of de strategie, maar laat gasten vooral invloed uitoefenen op de content. Wat willen zij? Wat zoeken zij? Wat zou grote meerwaarde geven op het event? En richt daar uw event op in. We gaan massaal de impact en het effect bloot leggen. Daar wordt op verkocht, daar wordt op gepitcht en daar wordt de strijd gewonnen van andere kanalen. De kracht van de combinatie van de twee opkomende marketingkanalen. De combinatie van online en live heeft ongekende mogelijkheden. Sterker nog: wie ze niet combineert blijft eenzaam achter. Het is geen geheim dat het moeilijk is om de juiste nieuwe tool of app in te zetten, maar de komende maanden groeit de acceptatie en integratie van sociale apps en tools. De hulpmiddelen die het netwerken, het ontmoeten effectiever maken of verbreden hebben de directe toekomst, net als de tools die interactie bevorderen. Each and every event professional has their own personal list of items, tools and gadgets that lead them towards accomplishing their goals at events. There are just certain things we can’t work without. So what is on your list of must-have essentials? The following list includes 14 things that have led my events towards organization and success. By owning these items, you are sure to rock your next big event! 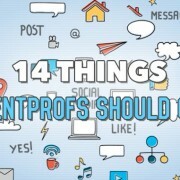 What would you add to this list of things #eventprofs should own? Staying organized is very crucial to success as an event manager. Having your own style of filing and tracking documents both on and offline will keep you on track and save precious time during busy events. Everyone has their own system for maintaining a daily to-do list. Most of us keep a calendar or agenda to provide a look at each day, week and month. Maintaining a digital calendar is one popular method as it allows you to view your obligations at just the click of a button, although some managers still prefer a handwritten calendar. Finding what works most efficiently for you and your style is always the best method. Having your own emergency kits for events is a great way to stay prepared and ahead of the game. If you are a wedding planner, keeping things like bobby pins, mints, and stain remover would all be great items for your kit. If you plan more corporate events items like pens, notebooks and back up batteries might be more your style. Whatever your event, having these clutch little kits can save you in a pinch. For those of us who travel, we have sacrificed our fair share of cell phone chargers to hotels and rentals cars. Always keeping an extra one handy is sure to keep your battery charged and could help out an attendee that might be in a tight spot. Another item to keep handy is a car charger, as these are vital for planners on the move. Back up copies of all vital event documents will prove to be your best friend during a busy event. On many occasions documents get misplaced or distributed leaving you, the planner, in a tight spot. Unless you have quick access to a copier you could be left carefully guarding your master list! For example, at a large-scale golf outing you may need many sets of pairings for the tournament staff, club staff, additional guests and volunteers. The last thing you ever want is to run out of copies for your VIPs, so when in doubt print additional. Don’t forget to think green by recycling the leftover copies after the outing! While you may not “own” them, you should definitely have reliable people to count on at your events. Take the time to train your team and educate them on your event, your client or your organization. This will give the staff a sense of ownership in the event and increase their customer service skills on the day of the event. Having emergency funds will give you a nice cushion when things don’t go as expected. Perhaps you lose a big account or your end of year bonus doesn’t come through as planned. Having funds to rely on will help make ends meet when your income is less than expected. Extra funds can also be handy for big purchases or upgrades that your company may need. Saving up these funds can be a challenge at first, but could pay off big in the long run! Owning the latest and greatest technology can make your event stand out above the rest. On occasion this upgrade may come along with a hefty a price tag, but you at least want to make sure your tech levels are up to par. When possible push the envelope and get ahead of the curve! Some exciting technology can be free to use, but may require skills to implement. For example, many of the live streaming apps such as Periscope can add a fun new element for your event without costing much more than time and effort. As an event manager you spend the majority of your time on event day, putting out fires and seeing to it that the logistics of the event are being executed. When you are busying moving around you need your important documents to travel with you. Finding a high-quality binder or clipboard will be a great tool that you will enjoy having at every event. Always have your own supply of snacks and lots of water on hand. When you get busy as a planner it is easy to forget to eat or become dehydrated. Pick up a nice reusable water bottle and handy snacks you can eat on the go. 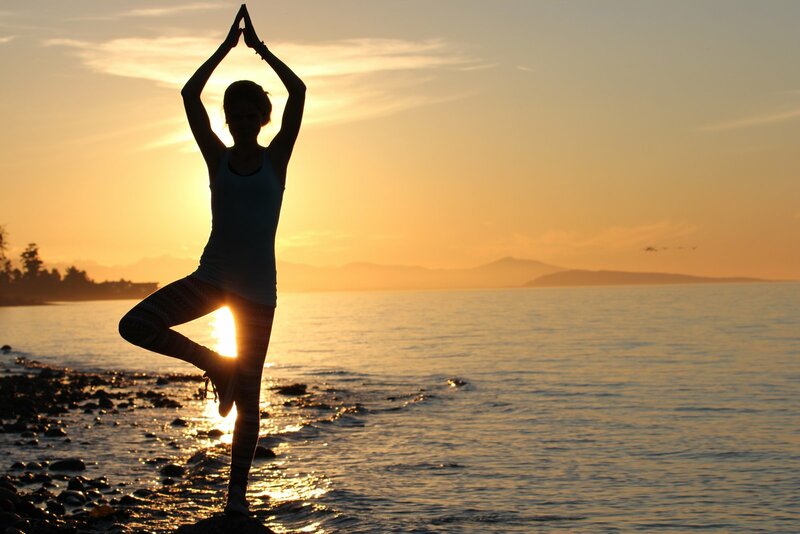 This will help you to keep your energy levels high while maintaining focus and productivity. Finding the best way to reduce your stress level is a secret weapon among event planners. For me, it is going on a nice long run at the end of the day. For some people it might be a little glass of wine after work, spending time with friends or listening to music. Finding your stress reliever and making it a special part of your routine will go a long way in keeping you sane and happy as a planner. Having a great outlook on your events, career and work life will pay huge dividends towards your event outcomes. Nothing kills the vibe quicker than working with someone who has a bad attitude. Own your attitude and always do your best to bring a positive energy to your events. Owning your personal brand and style will show your clients that you have a unique and creative energy. Find something to set your events apart from everyone else. Maybe you thrive on providing the best customer service in your city, or perhaps your connections in the community are your calling card. Whatever your niche is, be great at it and make it known! Taking ownership in your event is the ultimate way to show your clients and attendees that you take pride in your career and business. Sometimes things will go wrong and in these moments it may be hard to take responsibility, but you must. On many more occasions your event will be a roaring success and you can be proud to call the event your own! There are many different items you may need to own as an event planner. Some are vital, while others may be considered more of a luxury. New tools, systems and gadgets are always evolving, so don’t be afraid to try out something new! Work hard to find the right set of items for you and your team to own. This will help your events to flow and improve your overall planning process. Let me tell you – everyone hates meetings. If you asked a random group of employees if they enjoyed their work meetings, the resounding “No!” could probably break through the space-time continuum. 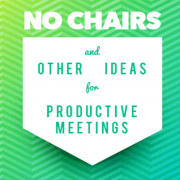 But why do people dislike meetings so much? The real answer is because they aren’t usually very functional. In fact, the term “business meeting” conjures mental images of a group of bored people, trapped in a windowless room for an hour with stale donuts. It doesn’t have to be this way. Meetings do actually have the power to be extremely powerful methods of communication that allow businesses and organizations to solve problems, encourage team spirit, generate ideas, and call others to action. There are several ways that you can take the tired, boring business meeting, and transform it into a powerhouse of productivity. The best meeting of all time is the one that never happened. Before you send out that Outlook meeting reminder, take the time to decide if you actually need to have a meeting. The only reason to have a meeting is that there is a question that several people need to weigh in on in order to get an answer. If you can shoot off a few emails, and follow up with a phone call to answer your question, you do not need to have a meeting. Part of the reason meetings have such a terrible reputation in the workplace is because they often never needed to happen. Also take into consideration that there are several digital ways to collaborate on a project without sitting in the same room. Working in a shared Evernote for work folder, or a Google Doc can help eliminate the need for meetings. There are also lots of project management software options available that can help to streamline and digitize the meeting process. A meeting does not have to be an hour long affair. In fact, there is some evidence that supports the idea that people’s attention spans are so short and limited, that if you’re having a meeting longer than a half hour, you’re pretty much talking to yourself. There is no productivity in droning on endlessly into a room full of people who aren’t listening. Give your meeting a very strict time limit. The shorter your meeting, the more likely you are to actually cover all the topics you need to. 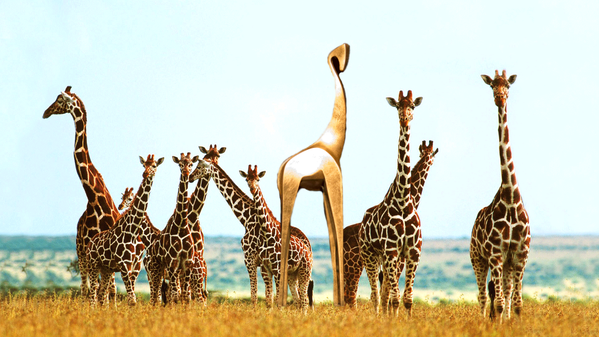 Having a meeting standing up is a great idea. We spend a lot of time seated behind our desks. Sometimes the simple act of standing up, forces people to pay attention, be concise, and listen attentively. The change of pace will also help your team to come up with innovative and interesting ways to tackle the problems on your meeting agenda. Similar to the logic behind having a standing meeting, taking your meeting out of the office is a great way to boost productivity. I once participated in a pre-lunch meeting where attendees walked from the office to a local restaurant. The meeting participants tossed a brightly colored ball back and forth in order to let everyone know who was speaking at the time and who would be speaking next. The physical elements of paying attention to the ball, and walking down the street, really forced me (and the other meeting attendees) to pay attention to what was going on. In addition, everyone was having so much fun, and was so eagerly anticipating our lunch together afterward, that each agenda item was discussed and dissected with verve. – What topics will be discussed at the meeting, by whom, and for how long. Sometimes I go as far as to rank each topic by order of importance. – Who is coming to the meeting, what they will be asked to present/discuss, and what needs to be read/handled beforehand. – What everyone’s roles at the meeting will be. This is different than explaining what each person will be presenting. Your meeting agenda should also explain who is in charge of taking minutes, handling food and beverage needs, and handing out/collecting/organizing any relevant documentation (be it physical paperwork, or digital documents). – When and where the meeting will take place, and how long it is expected to last. If you can craft a meeting agenda that hits on all of the above points, and then send it out within enough time for all meeting participants to read it and prepare accordingly, you will see a drastic improvement in your meeting productivity. The secret to productive meetings is having a good agenda, and keeping the experience fresh and innovative for participants. Make sure your meeting only includes people who truly need to be there, and covers topics that are actually relevant. And don’t forget that you can collaborate with people without sitting them down in the conference room. 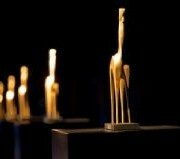 GOUDEN GIRAFFE – De 10-koppige jury van de Gouden Giraffe besloot in de categorie Beurzen 2 evenementen te nomineren. De beste eventcases van Nederland battelen in een boxring in de Kuip op 14 december 2015. Team GREENTECH van het Gomarus College uit Ermelo heeft zaterdag 28 november de FIRST LEGO League (FLL) regiofinale Arnhem/Nijmegen gewonnen. In het Technovium in Nijmegen streden twaalf teams om de hoogste eer én een plaats in de Benelux finale op zaterdag 30 januari 2016 bij Villa Flora in Venlo. Na een dag vol bloedstollende robotwedstrijden en presentaties ging team GREENTECH er met de Champions Award vandoor. De FLL is meer dan alleen een robotwedstrijd. Van de teams wordt ook verwacht dat ze onderzoek doen naar een maatschappelijk thema. Dit jaar; Trash Trek. “Afval? Laten we er wat van maken! “. Er komt meer kijken bij je afval dan je zou denken, van inzameling, sortering tot aan slim hergebruik om er nieuwe producten van te maken.De problemen waar zij tijdens het onderzoek op stuitten én hun oplossing daarvoor presenteerden zij aan de projectjury die bestond uit twee medewerkers van de ARN (Afvalenergiecentrale Regio Nijmegen en Weurt). Bij de robotontwerpjury legden zij uit hoe ze tot hun robot waren gekomen en op welke manier ze deze geprogrammeerd hadden. Vervolgens werden ze ook nog verwacht bij de Core Values jury die keek naar teamwork, respect en het enthousiasme van het team. Naast de Champions Award waren er nog 5 prijzen te winnen. Zo gaf elke jury een eigen prijs weg voor hun categorie en was er ook nog de juryprijs die de jury uitreikte aan het team dat wél indruk had gemaakt op de jury’s maar nog wel wat aanmoediging kon gebruiken. Het team met de meeste punten tijdens de robotwedstrijd won ook een prijs. Events of all kinds can be leveraged as content machines. Nearly every person who touches an event will either be providing content, asking for content, or learning from content. Events provide content before the event, during the event and after to engage with a large, diverse audience and build relationships. For those who do not take full advantage of content at events, you’re definitely missing out on a big learning opportunity. It’s important to set goals before attending any event, and map out which sessions would benefit your personal and professional growth. There are so many ways to enhance your event experience via content marketing. Below are a few ways event planners and those responsible for creating event content can help make sure the content is engaging, educational and powerful. For anyone involved in the content marketing process of an event, it’s important to first sit back and think through the event goals and how content can help enhance the overall event experience. For speakers, take a look at the event theme (most successful events have a theme that is used in every aspect of the event to keep it cohesive and well planned). Once you understand the theme, use it to your advantage – create engaging speaking session titles to draw a big crowd (but make sure the title of your session makes sense – the last thing you want is to have a funny title that has nothing to do with your talking points). As a speaker, another great idea is to create learning opportunities not only for the audience, but also for yourself. No matter how many times you have got up and spoken in front of a crowd at an event, make every speaking engagement an opportunity to ask questions, and learn from your audience. There are lots of takeaways any audience can provide to speakers, so be sure to add a Q&A to the end of your session when planning it out. As an event attendee, take a look at the agenda before arriving at the event to see which sessions and speakers make the most sense for you to see. Do your homework. The last thing you want to do is spend your days and hours sitting in on sessions that don’t apply to you. Make every event useful (and not a waste of your time and money) by making a connection with the sessions you sit in on. The content you’re listening to can help provide ideas for future blog posts, email campaigns, social contests, etc – the list goes on when it comes to useful content use. Also be sure you have the best way of capturing content. Bring your laptop, or a notepad (whichever works best for your style) to every session to make notes that will be useful to you in the long run. Take a look at presentations that are uploaded online, or shared via social post-event as a great way to remember the important details you may have forgot. Sometimes there are multiple sessions you want to attend during one timeframe, so check out the online presentations incase there was content shared that may be valuable to you. As the event planner, it’s your job to make the event a success. For the most part, if content fails at the event, it will ultimately make you look bad. For starters, set meetings with not only the event team you’re working with, but with speakers and sponsors on a weekly basis leading up to the event. It will help to have an all-hands meeting at the start of pre-planning to set goals as one team, and have everyone on board with the theme of the event. Once a theme is established, think through session ideas, and brainstorm on the flow of the conference. Who should keynote? Make sure whomever you select uses the theme in his or her presentation. It’s the first content touch point attendees will see and hear, so make sure it’s compelling and innovative. Besides speaking sessions, use the theme of the event as an opportunity to engage with attendees during breaks via social media. Use the event hashtag before, during and after the event, but only when it makes sense. Content is one of the main reasons why people attend events today. Events are great opportunities for generating fresh, unique and innovative content, but it takes a team of hard-working individuals to make sure the content provided is the best it can be. Follow the steps above to ensure you are developing the right content for your event and audience. The impact content has on everyone involved in events is huge, so make sure you think through every detail before the event takes place to have a successful show.